U.S. stocks today closed higher today after manufacturing data was better than expected and consumer sentiment improved, although the Nasdaq's technology stocks closed in the red. Consumer sentiment improved to 81.6 in February from 81.2 in January, according to the final revision of the February Reuters/University of Michigan consumer sentiment index. The 2014 IPO market is cluttered with hot tech offerings, but a clothing retailer might start stealing headlines as rumors pick up of a $5 billion J. Crew Group Inc. IPO. Earlier this week, Bloomberg reported that J. Crew could be valued as high as $5 billion when it comes to market, citing anonymous sources close to the company. Reportedly, J. Crew has been interviewing numerous banks before making a final decision on an initial public offering. Even though silver prices today (Friday) are down a relatively flat 0.59%, they're up more than 10% so far in February, and the rally won't end here. Tesla Motors Inc. (Nasdaq: TSLA) Chief Executive Officer Elon Musk had been hinting at the Tesla Gigafactory for months, and this week he delivered more of the information investors have been craving. The lithium ion battery-producing Gigafactory is expected to cost the automaker $5 billion to construct and will employ approximately 6,500 people. The troubled Mt. Gox exchange officially filed for bankruptcy today (Friday) in Japan, but this Bitcoin news was so much expected that prices on other exchanges hardly moved. Bitcoin prices on most major exchanges briefly dipped about 5% on the news, but recovered quickly. The composite Bitcoin price on CoinDesk was $565 at midday, down less than 2% for the day. Icahn on eBay (Nasdaq: EBAY): "They Just Don’t Get it"
Activist investor Carl Icahn poured the pressure on eBay Inc. (Nasdaq: EBAY) Thursday in his third scathing open letter to eBay shareholders. In what has become a wicked war of words between the corporate raider and the online auction and shopping site, Icahn continued to press eBay to spin off its electronic payment arm PayPal, maintaining the unit is worth more as a standalone. The billionaire investor also wants the San Jose, Calif.-company to overhaul its corporate board. Icahn, who holds a 2.2% stake in eBay, continued to reproach the company for a "complete disregard of accountability" and took further jabs at board members. This year has been hard on markets. In January alone the S&P 500 was down 3.6% and the Dow Jones Industrial Average dipped 5.3%. But during this period LNG stock news has pushed the sector higher. Here is a brief look at this bullish LNG stock news of 2014. China is a big factor in LNG stock news this year. China has increasingly been in demand for natural gas. That's why the United States plans to approve more construction export facilities, which can send LNG to energy hungry Asia. LNG stock news 2014: LNG stock prices are estimated to soar 118% compared to last year, bringing Cheniere Energy Inc. to the top of the investment list. However, this might be only the start of the fireworks, especially if we refer to Cheniere, which is known as one of the largest liquefied natural gas-related energy company in Houston, Texas. Apparently, Morgan Stanley predicted an overgrowth in the LNG stock price this year, with over a 30% gain compared to its current price of $45.76. Morgan Stanley included in the financial forecast they released on Jan. 7, 2014 that Cheniere might get as much as $129 a share during this year. With Middle East tensions calming, gas prices stabilizing, and hydraulic fracturing expanding at a meteoric clip, LNG stock news is quite positive, as investors flock into this thriving sector. 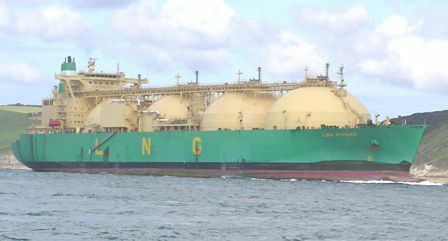 Dynagas LNG Partners LP (Nasdaq: DLNG), whose IPO went live just three months ago, reported fourth-quarter income of $11.0 million (up 25% from fourth quarter 2012) and annual income for 2013 of $45.6 million. Its first dividend, pro-rated to the IPO date, was $.17 per share, or $1.47 per share annualized from present income. This sizable dividend supports the market's bullish reaction to this newly-traded stock, which has soared 20% from an $18 IPO to $22.30 as of closing Feb. 24. This stock's rapid ascendency combined with the partnership's income statement make it one to watch closely over the coming months. Last year, when I shared my five secrets for uncovering wealth-building tech stocks, I also told you about a sixth "rule" you can use to find the big-time profit opportunities that are flying under Wall Street's radar screen. I refer to these as "special-situation" investments because they tend to be companies that are grappling with unique challenges. Because of those challenges, analysts tend to ignore these stocks. And that's good for us.